This time out, it’s the invin­ci­ble Iron Man! Thanks to the recent movies, now even more peo­ple know Tony Stark’s alter ego. Obvi­ous­ly I’m not doing the movie ver­sion here. Instead, this is the out­fit that first comes to mind for me when some­one says the phrase “clas­sic Iron Man armor” (though I real­ize oth­ers may think of dif­fer­ent suits). I can’t claim to have fol­lowed Iron Man reg­u­lar­ly as a kid, but there were still some very cool images and sto­ry­lines I caught back then that stayed with me (such as his epic bat­tle with the giant Tita­ni­um Man!). 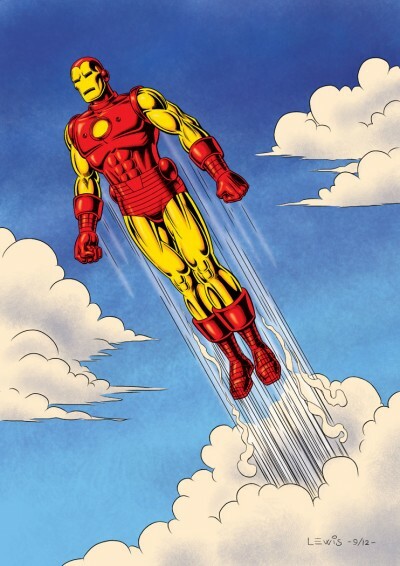 And as far as wish-ful­fill­ment goes, Iron Man’s a pret­ty cool idea: hav­ing the smarts and mon­ey to invent an armored suit which enables you to fly, gives you great strength as well as many oth­er kinds of cool abil­i­ties and weapons. And he even made his first suit out of spare parts, right under the noses of his cap­tors while being held hostage! This draw­ing was a big exper­i­ment for me. I elect­ed to make myself do it 100% dig­i­tal­ly, final­ly give myself a project to do using my Man­ga Stu­dio EX soft­ware. It just seemed the appro­pri­ate thing to do, with such a high-tech char­ac­ter. Work­ing all-dig­i­tal­ly is a dif­fer­ent expe­ri­ence. While I’m very com­fort­able with most oth­er aspects of gen­er­at­ing my art using my com­put­er, the ini­tial draw­ing is a dif­fer­ent mat­ter. It feels very weird to start a draw­ing with­out first pick­ing up a pen­cil and a piece of paper. Almost like I can’t quite ful­ly think or visu­al­ize clear­ly with­out those items. The feeling’s a bit like those old dreams where you’d go to school and have this nag­ging sen­sa­tion you for­got some­thing, only to look down and see you left your pants at home! This will take fur­ther work. 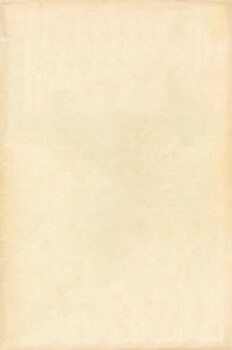 But regard­less, I don’t think I’ll ever want to entire­ly give up my pen­cil and paper! This one’s for Frank, A.K.A. Iron Man Fan #1. Hope I did jus­tice to your favorite! This entry was posted in Comics and tagged Experiment, Iron Man, Marvel Comics, Silver Age. Bookmark the permalink.